Confidence? All-Inclusive, Flat Rate eDiscovery Services. Platinum IDS. Exploring All-Inclusive eDiscovery Services with Platinum. Confidential data is a certain byproduct of modern business Litigation. It’s also a liability and it’s volume is increasingly unpredictable. Firms need a better way to access, discover, review, produce and secure client data to meet client expectations. Let’s explore these challenges and how firms are addressing them to gain an advantage over their competition using flat rate, predictable and low cost solutions like Cost Confidence. *According to a CNA Professional Counsel bulletin, roughly 80 percent of the largest firms in the United States have experienced a malicious breach. In 2016 alone, the IT consultancy Logicforce found that over 10,000 network intrusion attempts were detected per day across just 200 law firms. It’s not a sales pitch. Data security is a huge issue and it’s getting harder to manage every day. According to Domo, 90% of all data today was created in the past 2 years. Practical access to this content for discovery is extraordinarily important to Litigation. 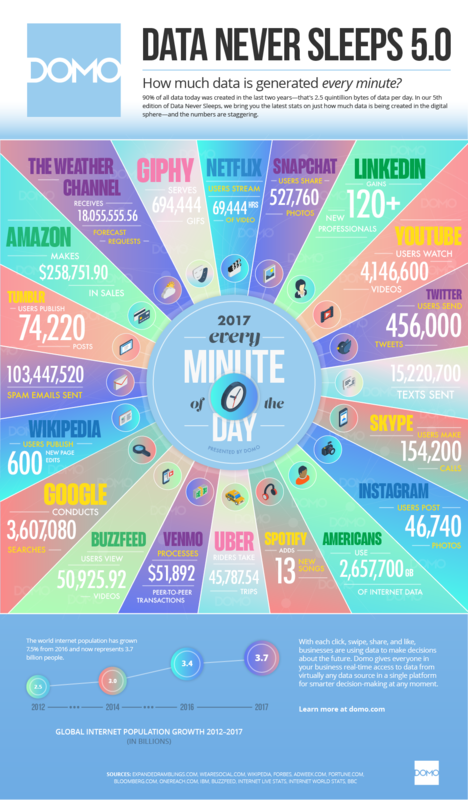 Currently, over 2.5 quintillion bytes of data are created every day. In discovery, like any research field it’s critical to have access to as much of this data as possible to uncover key content that may be overlooked in a narrow scope. All litigation firms are outgrowing their own operational infrastructure at an alarming rate and a new breed of solutions are emerging to solve these explosive growth issues in ways that were previously unavailable. With data’s unpredictable growth, It’s important to quickly and defensibly reduce noise and duplicative content to help legal teams focus on the most relevant information. Storing the content is a challenge, a risk and a liability, but accessing it in a way that serves the investigation is also very demanding and expensive. Challenge 3: Access to Key Intelligence. Provisioning access to key content requires specialized data mining solutions that depend on world class technical talent, software and infrastructure resources unique to the field. Some firms elect to manage these solutions internally, but with an entry cost of over 1 million dollars annually for the average mid-sized firm, cost recovery becomes an interruptive challenge that the companies’ traditional billing model wasn’t designed to address. However with the right blend of solutions, legal teams are empowered to serve clients faster, with the ability to access and discover key intelligence quickly and securely from anywhere in the world. Well equipped firms can easily serve more clients with less human capital resulting in higher profits for the company. Obviously, firms who are well prepared for this kind of research will win more cases, increasing client loyalty and further promoting revenue and organizational growth. Challenge 4: Futureproofing and CLE. It’s an understatement that technology is improving at breakneck speeds. To keep up with demand, a solution must be designed to keep up with new tools and methodologies as bleeding edge tech like artificial intelligence and scalable resource throughput mature and become available for mainstream consumption. Administrators of these solutions must also be continuously re-educated and certified to provision and support legal teams through the collection, discovery and presentation phases of Litigation. The time and expense of futureproofing a firm’s Litigation Support solution is expensive and interruptive with many hours of improvement required annually to simply stay current. The designed solution must include redundancy of human resources so the operation doesn’t stop during infrastructural or educational improvement sprints. The cost for continuous education and improvement must be part of the financial recovery model in order to sustain the quality of the solution. CLE doesn’t stop at the top. Every consumer of the solution must have access to top tier talent and continued educational resources on demand to improve efficiency. Additionally, end users often need the ability to offload laborious tasks where defensible automation like artificial intelligence can be implemented, further increasing speed and accuracy, allowing key team members to focus on law, not technical debt or quality control. Furthermore, Counsel must have access to consultants that can aid in data mapping, collection planning and frontline negotiation with opposing parties or regulatory agencies regarding production form and strategy (rule 26f) to ensure additional technical requirements don’t quagmire the progress of the case. This kind of consulting is traditionally expensive and also requires a great deal of CLE to ensure quality over time. Cost Confidence with Platinum IDS. Platinum addresses these problems and more with a simple, all-inclusive solution that instantly bolts in processing, hosting, consulting, technical services, security, infrastructure, platform, education, support and training combined with unlimited technical talent through our pool of world class eDiscovery and Litigation Support experts. Let’s explore the solution and highlight some of the benefits we bring to the table. All content is encrypted at rest and in transit, completely encapsulated from the outside world and accessed through encrypted transit 10x stronger than your bank’s website. A reported one in five law firms experienced some kind of data breach in 2018, while Platinum has operated since 2001 with zero breaches. All included with Cost Confidence. Virtually unlimited compute resources with unmatched security and throughput, on demand. Platinum’s redundant infrastructure ensures responsive, universal access to secure content from anywhere in the world. All administration, provisioning, security, backups and redundancy are included with Cost Confidence. More data means more noise. Cut through non-responsive content faster using a platform designed to distill quality content to the surface with ease and accuracy. An intuitive interface helps teams surface responsive content, resulting in faster fact finding missions. An integrated production module makes it easy to perform complex productions of any kind to any party yourself, or we’ll do it for you at no additional cost. It’s included with Confidence. Ensure constant improvement across your entire collection, processing, discovery, production and presentation initiatives. Focus on law, not technical or educational debt. Benefit from constant improvement from the top Xera provider in the world, ranked 5 years in a row. As a top tier provider, Platinum contributes heavily to Xera’s roadmap ensuring client feature requests are entered into development sprints faster, bringing new features to clients with unique needs. Finally, Platinum’s infrastructure is automatically upgraded to the latest processor, memory, storage and networking technologies with no downtime or impact of any kind to the client. Support And Training With Cost Confidence. Never walk alone. Bolt in a world class team of trainers, data managers, developers and consultants to tackle any technical data challenges you encounter. Live training sessions can be scheduled on demand through an intuitive scheduling portal on any device. A comprehensive video library is updated regularly to address top support issues as reported by our subscribed end users. Users experience an average 5 minute response time from an experienced, tenured Litigation Support professional when submitting requests through email. No automated responses or first year employees. Real responses from real humans empowered to solve problems. We care about your case and its outcome and staff 7 days a week to help. Confidence is provisioned in two distinct methods. Block and Project based. All processing, culling, professional services during business hours are included in both methods. After hours work orders and additional user licenses are the only ancillary fees a subscriber should expect to pay, which is rare. Support is always included. Block based is a commitment to a defined volume at a substantial discount, including more users at every tier. Unlimited cases can be launched and supported under the model, as long as it fits in the defined block. Project based is a month to month program for individual cases, billed individually. Less user licenses are included in this model, but it can be useful to fill the gaps between subscribed blocks. With Confidence, as case load increases, cost goes up while your unit price goes down. As cases end or as unresponsive content is removed from the system, your ultimate cost goes down. There is no waste in the model. Firms only pay for the data they need, month to month. All professional services are included, even advanced analytics. Call or sign up today to quote your next project with Confidence. A capable consultant will help you design a Confidence model that works for you in minutes. The model is unconventional, but frankly we’re tired of tradition. Our clients have been extremely responsive to Confidence in all demographics from Boutique to Mid-Tier, BigLaw and Corporate. Take a moment to learn why it’s been so successful. This is a great post. Thanks for putting it together man.